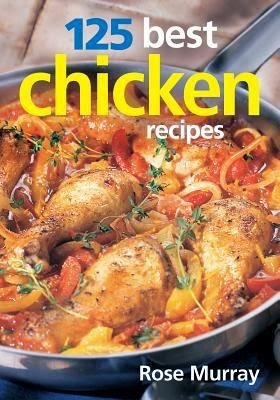 I found this recipe in my 125 Best Chicken Recipes cookbook and made it for supper this evening. Preheat oven to 425F (200C). 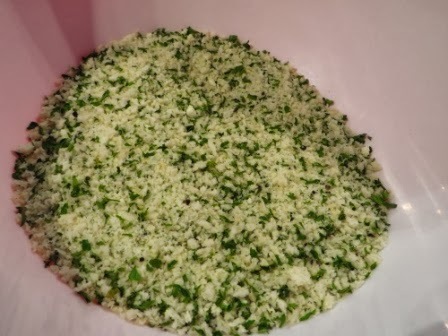 In a shallow bowl, mix together bread crumbs, cheese, parsley and pepper, set aside. In a small saucepan over low heat, melt butter with garlic. 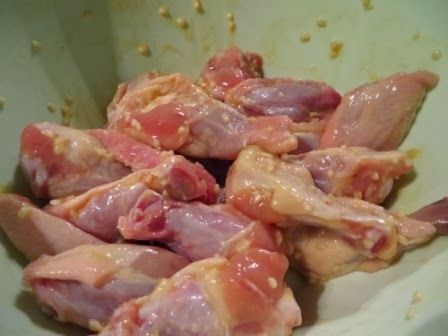 Dip wings in the butter mixture. 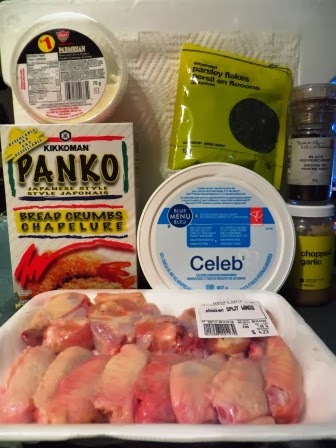 Rather than dipping, I tossed the wings in the butter and garlic. 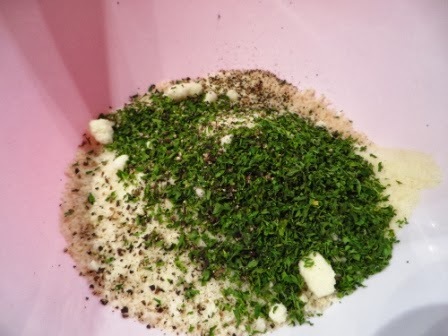 Coat well in the bread crumb mixture. Arrange meaty-side down in a single layer on a foil-lined greased sheet. 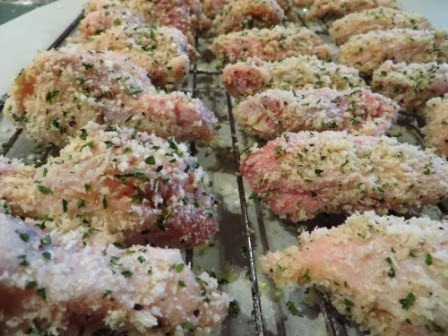 Bake in pre-heated oven for 25 minutes or until chicken is no longer pink inside, turning once. Here they are when they came out of the oven. I'm not a fan of Parm cheese so didn't have any ... I made Spicy Roasted Wings for me. 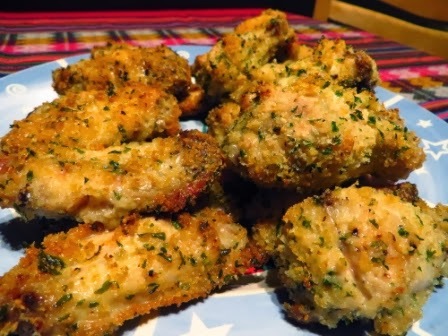 Right after I breaded the wings, the smell of Parm cheese really came through. But after they were baked, Gord said he could get just a faint hint of Parm cheese. None of the ingredients were overpowering. Though I left them in for the required time, they weren't crunchy. Gord said they were okay, not great. He said I don't have to worry about making them again. When I asked him what would have improved them, he said nothing ... he just wasn't crazy about them. Chris and I love garlic, so these are right up our alley! !